Stay charged wherever you go with a slim, lightweight power bank (aka portable charger) that fits in your bag or pocket. 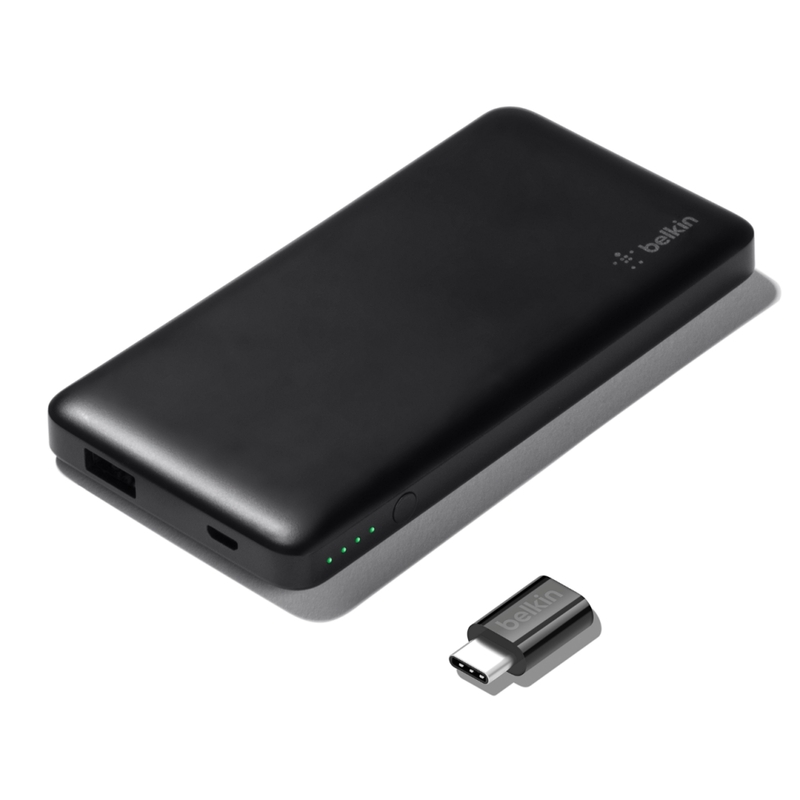 This 5,000 mAh power bank can recharge a state-of-the-art smartphone up to 1.5 times, providing an additional 19 hours of call time or 11 hours of web browsing*. 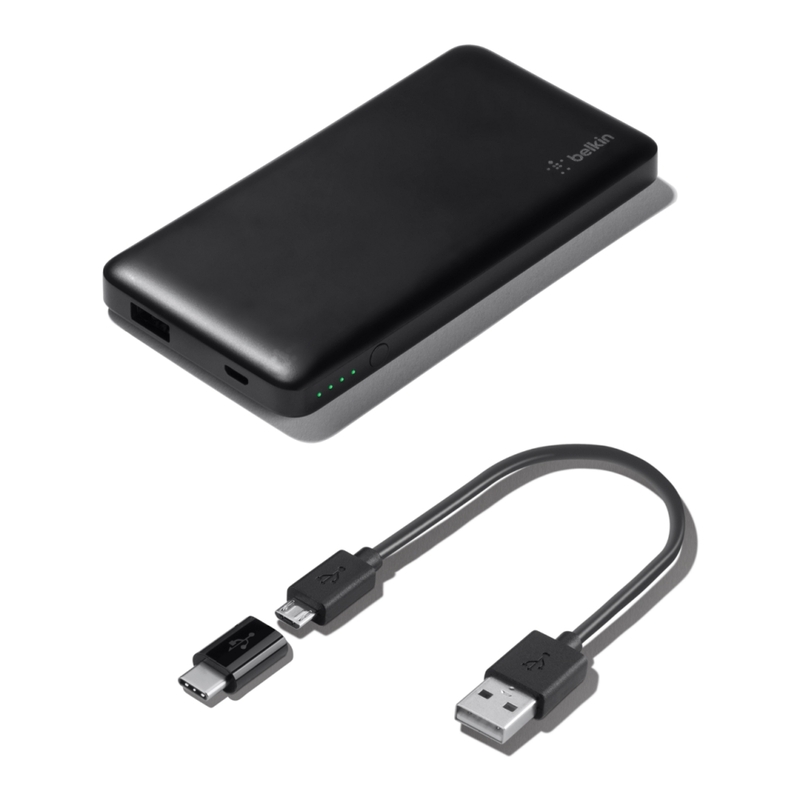 With an included Micro-USB cable and USB-C adapter, the power bank delivers up to 2.4A to a variety of compatible devices, safely and efficiently. 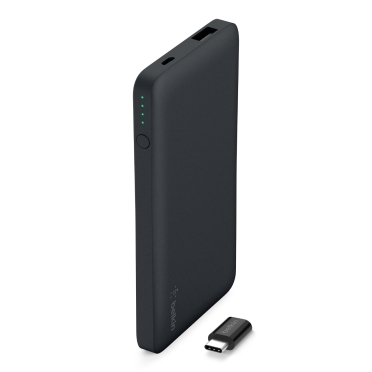 The battery itself recharges quickly with a 2.0A input, so you’ll never be without power when you need it. 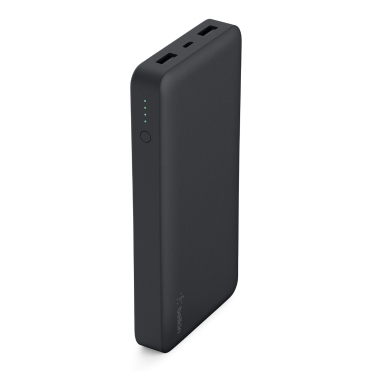 Belkin batteries include sensors monitoring heat, voltage and circuitry, and shut down automatically in case of fluctuation. 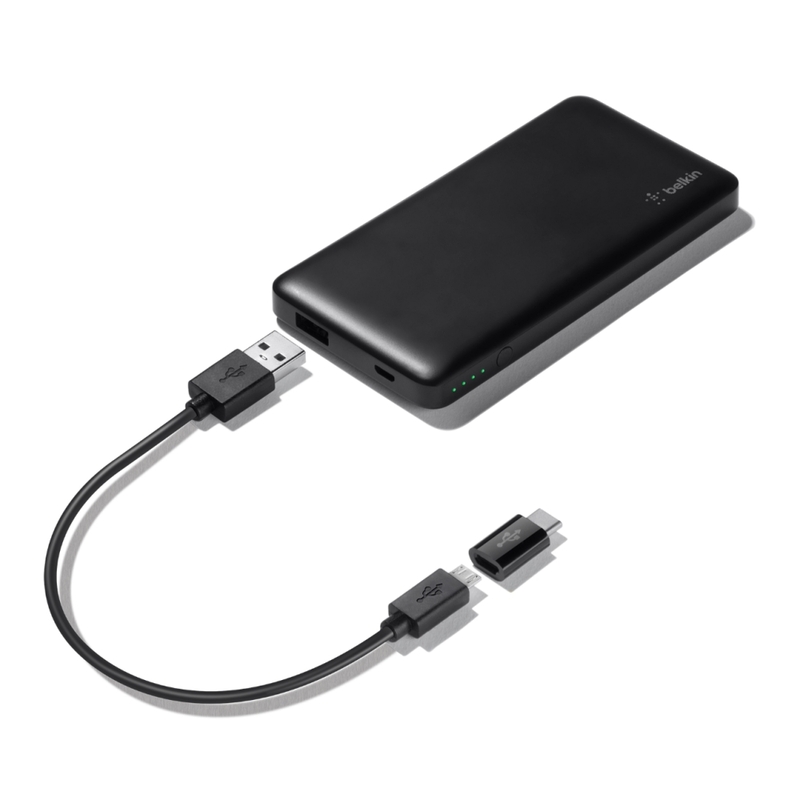 Need a backup? This light and portable power bank (aka portable charger) delivers 5,000 mAh of power to recharge devices when you need them most. The compact and lightweight polymer battery cells are housed inside of a lightweight, durable plastic. A slim design allows the power bank to fit inside your bag or pocket, so it’s easy to take everywhere. 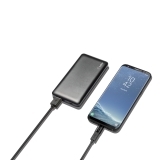 Use the power bank to charge both Micro-USB and USB-C devices by employing the convenient USB-C to Micro-USB adapter. Tested and re-tested to ensure the battery guards your devices against electrical surges and spikes.